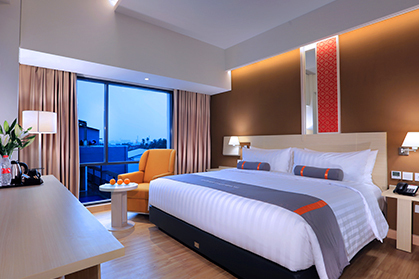 Palembang, 24th January 2019 – Archipelago International, a leading Indonesia-based hospitality management company, announced that Harper Palembang is ready to open its doors in January 2019, becoming the first Harper hotel to open in Sumatra. "Being the oldest city in the country with unlimited potential for both business and leisure, Palembang has become one of the most visited destinations in Sumatra. To accommodate the growing number of tourists each year, we think it is the perfect time to bring a Harper property to this up-and-coming capital city, with not only complete facilities and modern amenities, but with a distinct rustic charm and heartfelt service from qualified staff. We believe it will be the first of its kind in the city," said Winston Hanes, Director of Operations from Archipelago International. 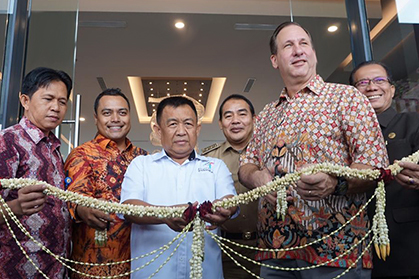 Archipelago International operates Indonesia’s largest portfolio of over 138 hotels with a further 100 new properties under development across Indonesia, Malaysia, the Philippines, the Caribbean, and Saudi Arabia. With over 18,000 rooms and 10 brands ranging from ultra-luxurious to select-service in more than 55 cities, brands include ASTON, Alana, The Aston Heritage Collection, Huxley, Kamuela, HARPER, Quest, NEO, favehotel, and NOMAD.